The shed in my backyard is over 10 years old now, and I have been slowly renovating it over the last couple of years. The original siding was inexpensive pine (6″, rabbeted) that I attached directly to the plywood carcass, i.e. no furring strips. The siding was stained years ago, and just looked tired, and I wanted to allow it to breath better, so I decided to replace it with something that will last the remainder of the shed’s life. So I ordered some 6″ rabbeted siding from Quebec company Maibec. The old siding went to a good home, to be re-cycled into a new shed. One benefit of this siding is that it comes pre-painted – factory painted lumber is great because it has been added in an environment-controlled facility, and is painted all-six-sides. Another benefit is that there is a whole bunch of matching trim. Even the nails to attach the siding come colour-matched. Maibec have a bunch of different options, and a bunch of different systems, and I have to say the material is a pleasure to work with. The siding is kiln-dried spruce-fir, as opposed to generic siding that is a hodge-podge of species, and often warped. I used 1×3 furring strips, aligned with the 2×6 walls, so 14-16″ apart. The siding is attached using ring shank nails, and Maibec provide a special plastic hammer-cap to prevent marring the nails. 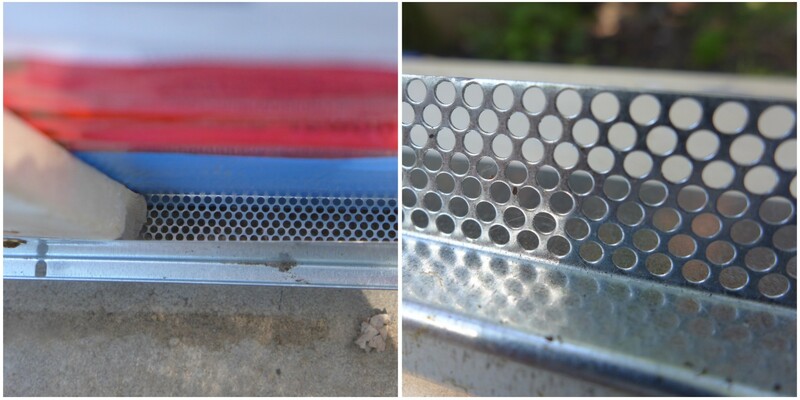 They also provide a multitude of perforated ventilation strips for the top and bottom of walls to allow for ventilation behind the siding, and preventing pests from entering. 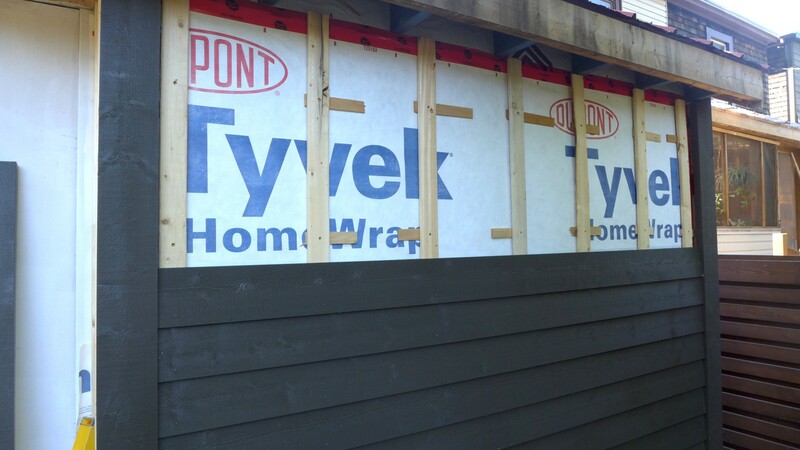 It is not inexpensive (likely C$6 a square foot all in for materials), but there are inherent labour savings from not having to paint the siding, and deal with warped siding.